We all know about the popular destinations to hit when it comes time to plan our next adventure. But the beauty of a travel journey is that there are no rules. Even if you’ve already visited a destination, there’s always a new gem to discover, one that you might repeat time and time again. 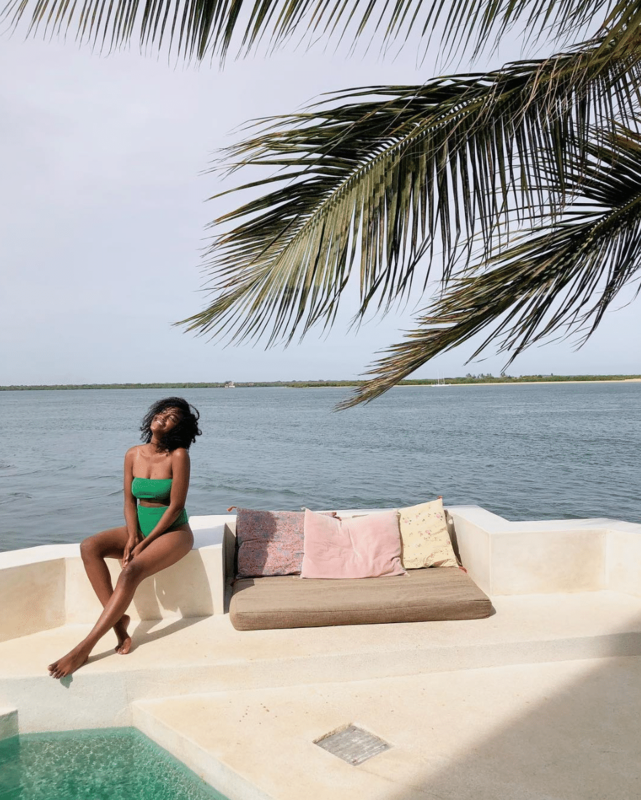 For Nairobi, Kenya native Sharon, even in her home country there are amazing hidden location gems to explore and one she loves to visit every chance she gets is Lamu island. The Swahili and Arab cultures on the island are similar to the vibes you’ll feel when visiting the more well known Zanzibar island – minus the super touristy crowds. 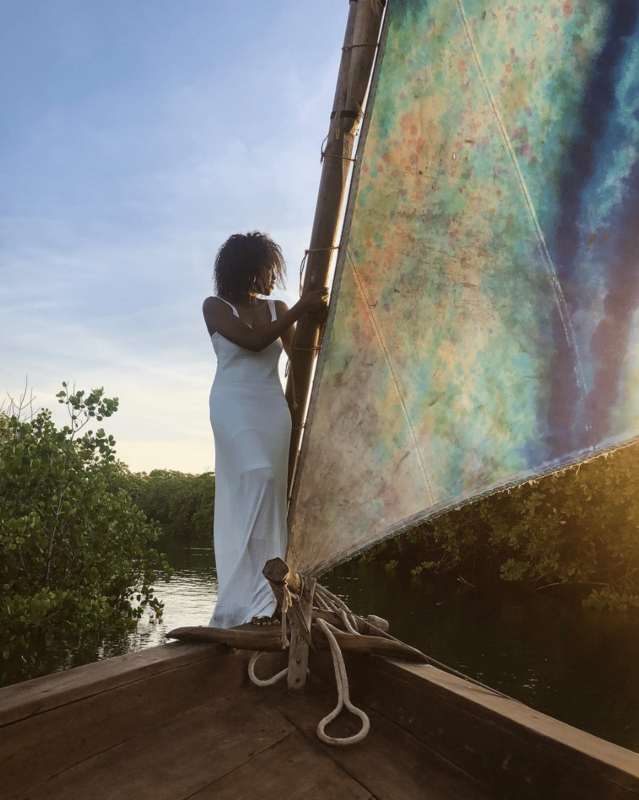 If Lamu wasn’t already on your radar, one look at Sharon’s breathtaking escape will have you adding it to your travel bucket list tonight. When most people plan a Kenyan getaway, they tend to only hit Nairobi for safari adventures and locales like Mombasa and Diani for beach time. But as a local, Sharon knows that the gem most tourists overlook, just a short one hour flight from the capital, is Lamu island. The Lamu Archipelago is a small group of islands situated on Kenya’s northern coastline, with Lamu Town being the oldest living Swahili town in Kenya and a UNESCO World Heritage Site. 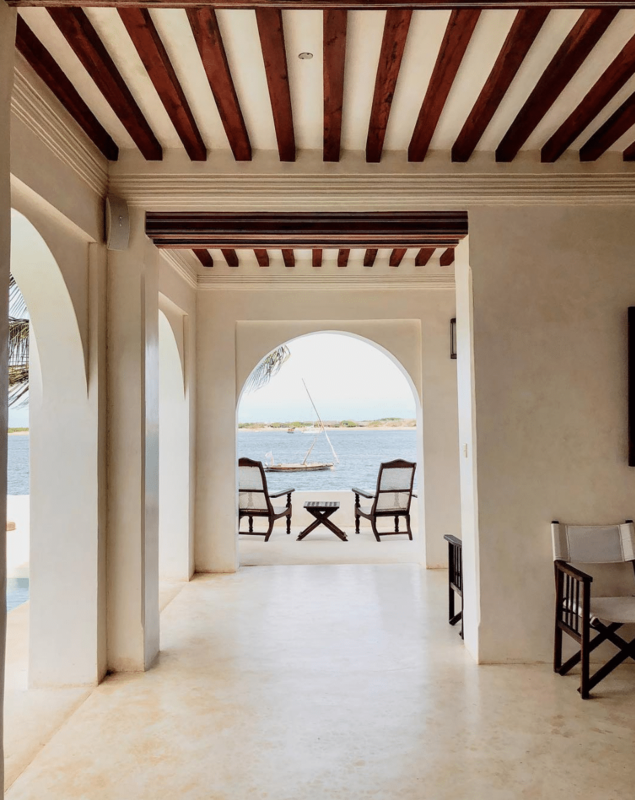 When planning a trip to Lamu the only place to stay is the gorgeous Forodhani House on Shela Beach. The property boasts stunning views and a full staff (including a chef! ), making it perfect for family trips and girls’ getaways. Don’t let the sleepy island vibes of Lamu fool you, there’s a lot to get into. From getting lost down the picturesque stone alleyways to snorkeling, island hopping and of course, eating, you will never be bored. Take a page from Sharon’s book and catch a ride on a traditional dhow at sunset, you’re guaranteed to fall in love. Even as a local, Sharon can’t stay away from the vibes of Lamu. The people, the sights and the sounds are enough to draw you to this Kenyan paradise year after year. Who knows, Sharon might be there to greet you.